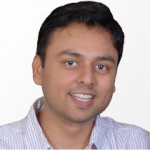 Anubhav Dwivedi is a passionate Entrepreneur and seasoned Technology Advisor for growth-hungry Enterprises. Before starting Saviant Consulting, he spent a number of years in Management roles at two of the world’s largest IT consulting firms, Wipro & Infosys. He is known for his acumen of harnessing technology to achieve rapid & transformational business results. This was instrumental in his Strategy & Product consulting engagements with some of the world’s largest Enterprises (like ADP, TUI, Pitney Bowes, United, Delta, Qantas) as well as with numerous Entrepreneurs in ecommerce space who are his clients now.